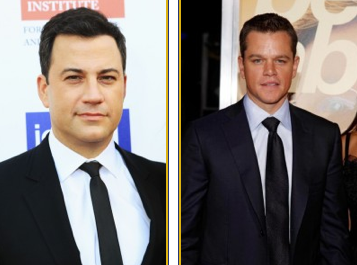 Matt Damon will finally appear on Jimmy Kimmel’s talk show for an interview following a decade of (fake) bad blood between them. “May God help Damon if he dares show his stupid face,” said Kimmel in a statement. The joke morphed over the years into full-fledged comedic enemy-ship. Kimmel subsequently stoked his rivalry with Damon in bits including his “Handsome Men’s Club” video.